Street cred takes on a whole new meaning. world where people can rate each other from one to five stars for every interaction. How many times have you heard someone say “have you seen the Black Mirror episode about that? !” The so-called “dystopian future” it’s supposed to warn us about doesn’t seem so far away. 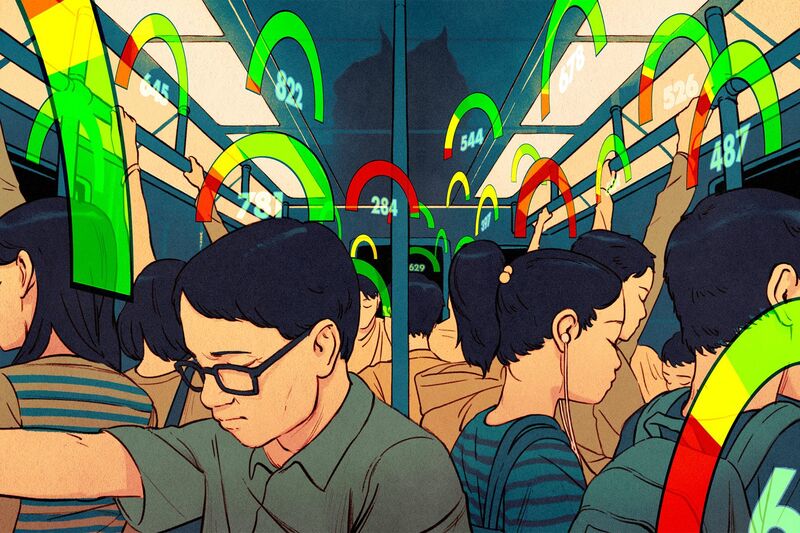 Enter China’s Social Credit System (and Season 3, Episode 1). China’s State Council issued a report called “Planning Outline for the Construction of a Social Credit System” back in 2014. In it, they alerted Chinese citizens of their plan to unveil a personal scorecard for every person and business in China, based on their level of trustworthiness, and that participation would be mandatory for every Chinese citizen by the year 2020. Though it’s still unclear how, exactly, it will work, it will attempt to rate people in four areas: “honesty in government affairs” (政务诚信), “commercial integrity” (商务诚信), “societal integrity” (社会诚信), and “judicial credibility” (司法公信). In addition, the scores of friends and acquaintances will have an effect on yours as well! If you are connected to someone in some way (be it a relative, co-worker, or an online friend you communicate with often), it’s in your best interests to make sure their score is high. The possibilities for discussion are endless. If you have friends who have a son who cheats on a state-mandated test in school, to what extent are you penalized for having a relationship with those parents? The parents will certainly be penalized for raising a child who cheats. Can you recoup any lost points if you cut ties with them? And what of the child? How long does that stigma stick with him? It’s also likely the system can be manipulated with artificial behavior and hacking. If your score is low, what’s to say you can’t take a bunch of people down with you? And what if someone makes an accusation against you that is not easily irrefutable? Reputation is your greatest currency in this new world. China has already begun publicly shaming debtors on government websites. Is this social transparency or a way to mandate obedience? Will it truly lead to a more trustworthy world?